On June 10th,2009 Depeche Mode will be playing at the Olympiastadion in Berlin. Already on the night before, an international Fan Convention will take place at the Postbahnhof. 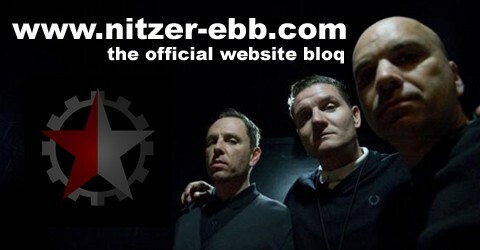 Nitzer Ebb are confirmed to headline the night and will be supported by De / Vision. 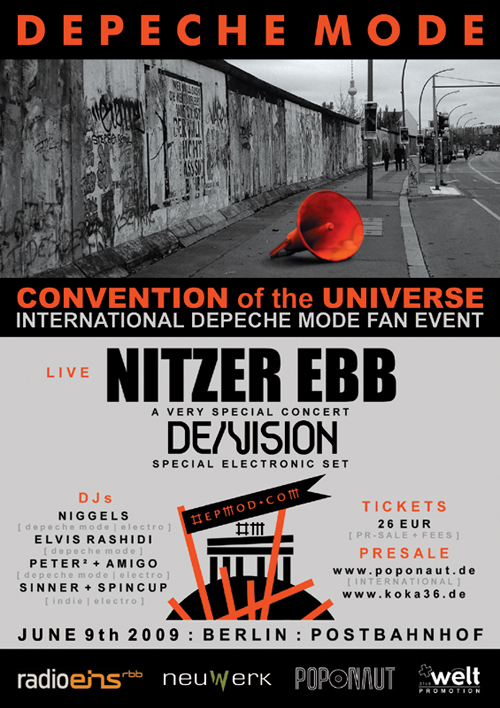 Both Bands will be warming up their Fans and the Depeche Mode Community on June 9th for the following day. Tickets will be available for 26 € (plus surcharges). Presales will start on February 24th through poponaut.de (INTERNATIONAL) and koka36.de and all known Box Offices in Berlin. Crazy Clip TV is an cult-tv production on local access broadcasters Tide TV (Hamburg), H-eins (Hannover), OKB (Berlin), OK Bremen and OK Kiel in Germany.